POLESTAR PILATES® has designed a program just for you. The genius is in the education structure and multimedia support materials which give you a simple yet complete introduction to a profession that can bring you joy, professional satisfaction and an opportunity to earn money. Gateway starts with a 3hr Gateway Online course which provides the student with concise information about Pilates history, movement principles and professional ethics. This is followed by any of the three creatively and exclusively designed Polestar Gateway contact courses (Pilates Mat, Reformer and equipment), which will not only equip students with an introductory level of Pilates teaching skills, quickly and effectively, but also form the first and resourceful component of the Polestar qualification training programme. Students will receive a Certificate of Completion at the end of each course. Please note that these courses are Intro level courses and are not qualification courses. 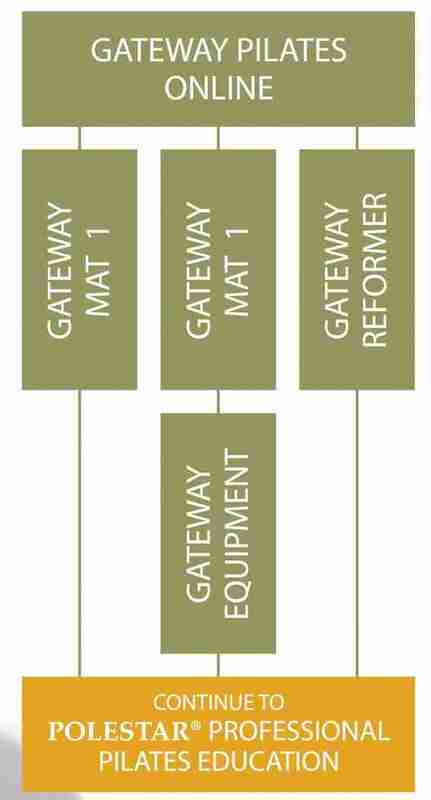 Who is Gateway Pilates Programme designed for? For those with limited time, limited resources or to prepare for a full professional Pilates teacher training. You know you want to become a Pilates teacher – this is the perfect first step on the road to full qualification. You can choose one of the options below.